We have long been accustomed to the fact that most A-brand IT technology is assembled in Taiwan, in mainland China or in other countries of Southeast Asia. But, it turns out, there are still companies that are not afraid to place computer production in Europe. 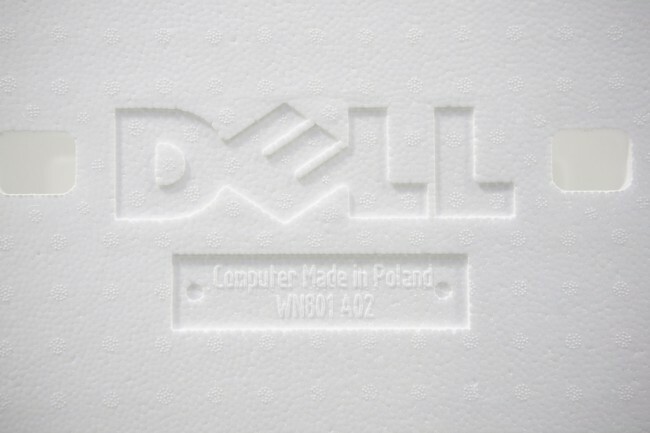 So, Dell’s largest and most modern factory for assembling desktops and servers is located in Poland next to us, practically in the center of Europe. Naturally, we could not refuse to go to the plant, which produces millions of PCs a year. We bring to your attention a photo report with Dell European Manufacturing Facility Poland. The construction in Lodz of a large factory of the world’s leading IT brand attracted the attention of the public and the government of Poland. Built on the outskirts of the city complex of 35,000 m² was to replace the decommissioned Dell plant in Ireland, in the city of Limerick (the very one that at one time gave the name to the poetic genre). Actually, engineers and workers from Lodz were trained in Limerick. The plant was erected in a record time – 11 months. The first stone was laid in November 2006, and on November 20, 2007 the first computer was released here. Impressive pace! A logistics center appeared nearby, providing the plant with a continuous supply of components for production. Dell European Manufacturing Facility Poland (EMFP) produces desktops, servers and workstations for customers in Europe, the Middle East and Africa. The availability of production in Europe is important not only in terms of reducing transportation costs, but also from a purely psychological point of view. When it comes to complex equipment, servers, expensive gaming computers, graphic stations, customers still trust the products assembled in Europe and the US more. For the same reasons, Alienware computers for the US are manufactured in Florida, and Dell servers in Texas. In the beginning, the Lodz plant produced laptops, but two and a half years ago the assembly of portable PCs was moved to Asia, and EMFP concentrated on desktop computers and servers. 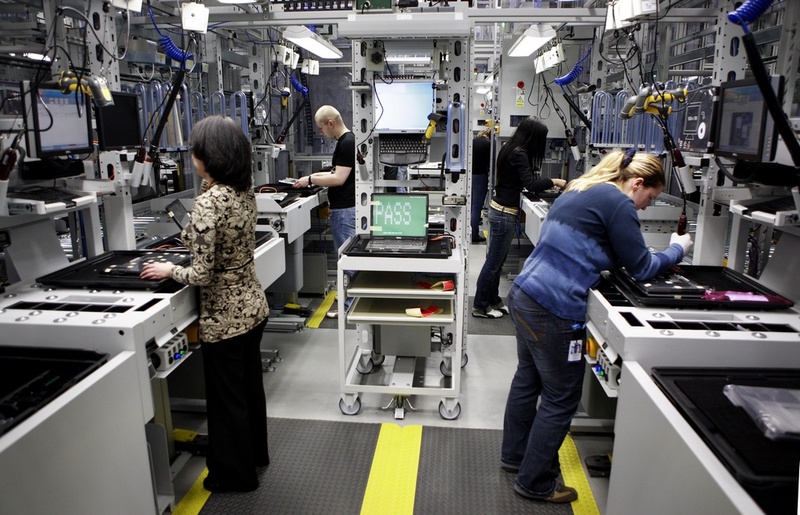 Dell EMFP is a two-shift factory for computer manufacturing, employing 1,800 employees, 70% of whom are directly involved in production. Huge trailers with components continuously alternating to the portal gates in the southern part of the plant, the same train of trailers drives off, filled with finished PCs, from the north. The assembly lines pass through EMFP from the south to the north and work directly from the wheels – the stock of components in the factory is only 2 hours long, the logistics center is only 700 m east and there are no interruptions in supplies and congestion on the roads. EMFP has three types of assembly lines and almost no robots, computers still collect people. On the conveyor lines, large batches of the same systems are manufactured, let’s say usual office desktops. There are a lot of repetitive operations and the whole team should work as a whole so that there is no jam on one of the sites. Components here are brought in large quantities by huge pallets and boxes. And reconfiguring the line for the production of another type of PC requires a substantial reconfiguration and takes some time. Cellular lines are a series of individual jobs. Here, each employee recruits components for each new job independently and works alone on the entire system. 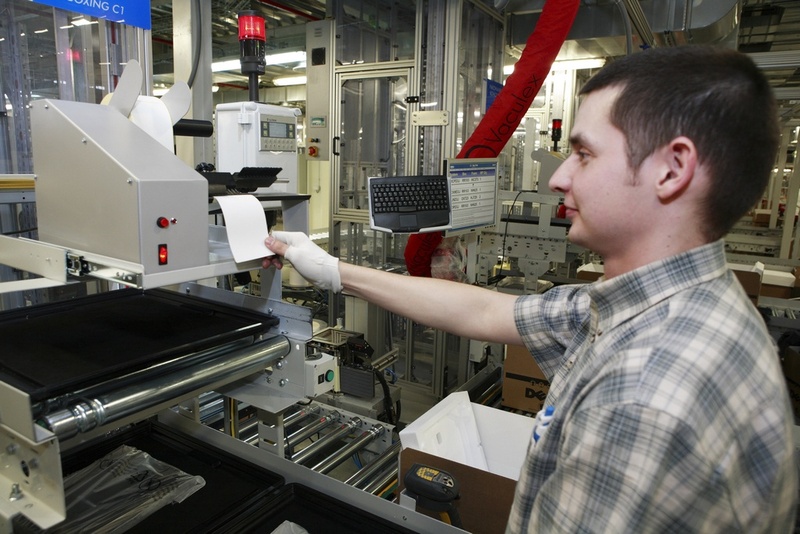 Such lines are used for the production of small batches of products and more complex systems, for example, graphic stations and servers. Here tasks are easy to vary and after assembling the gaming PC the same person can do the assembly of the server. The third type of lines is mixed, in which part of the operations are carried out by the pipeline scheme, part by individual. Thus, for example, Alienware gaming systems are assembled. Despite the fact that the Dell EMFP plant is still a production complex, there is not enough tense situation here, the shop is light and spacious, inside is not very noisy, and light music plays against the background. 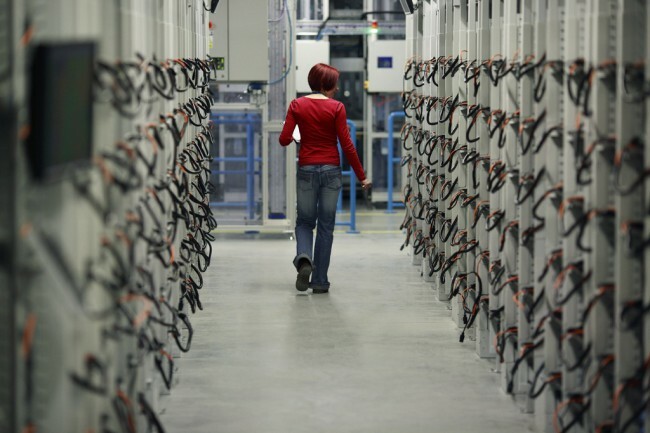 The assembly of one computer on each of the lines takes from three to ten minutes. 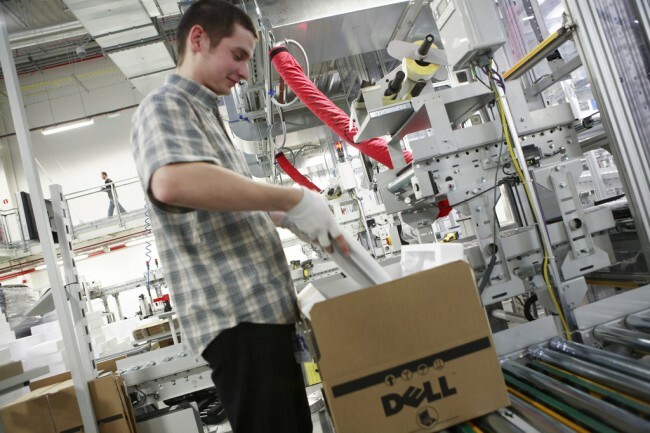 So, knowing the number of employees involved in production, it’s easy to calculate the maximum daily output of Dell EMFP – it’s about tens of thousands of computers per day. However, the assembly is almost one of the shortest operations. 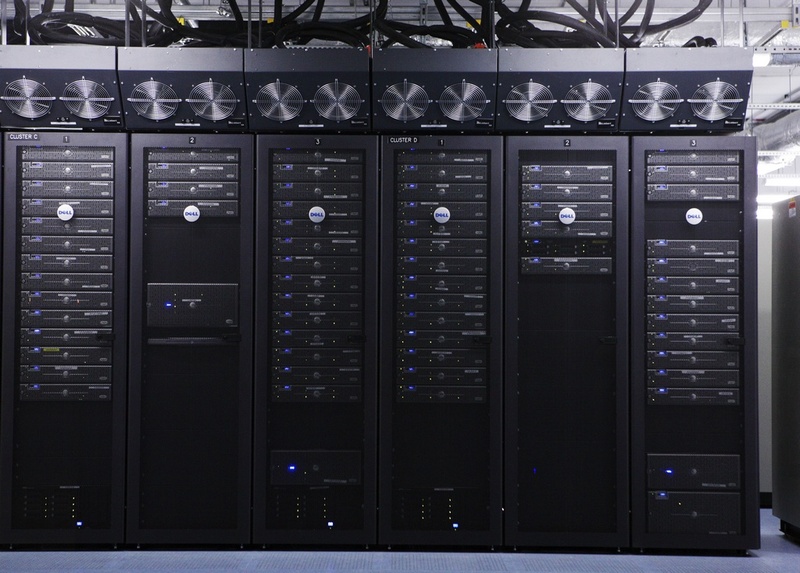 The longest is testing of the finished system, which can take from an hour for ordinary office PCs, up to a day for servers and workstations. In this case, the entire history of each component that went into the production of each particular machine is stored on the servers of the plant and is very easily tracked. So, in the event of any malfunction, it is easy to find the cause. It is interesting that EMFP servers are serviced by only a few engineers and are fed separately from the entire plant. In the event of a failure, you can restart the production line very quickly, and server restart may take several hours. However, throughout the history of the plant electricity was lost a couple of times for a few minutes and had no consequences. Finally, we offer you a small photo excursion. Just remember that the photos of the production lines themselves, placed above, are official and made some time ago. Photographing in the factory, as in many other industries – is strictly prohibited.